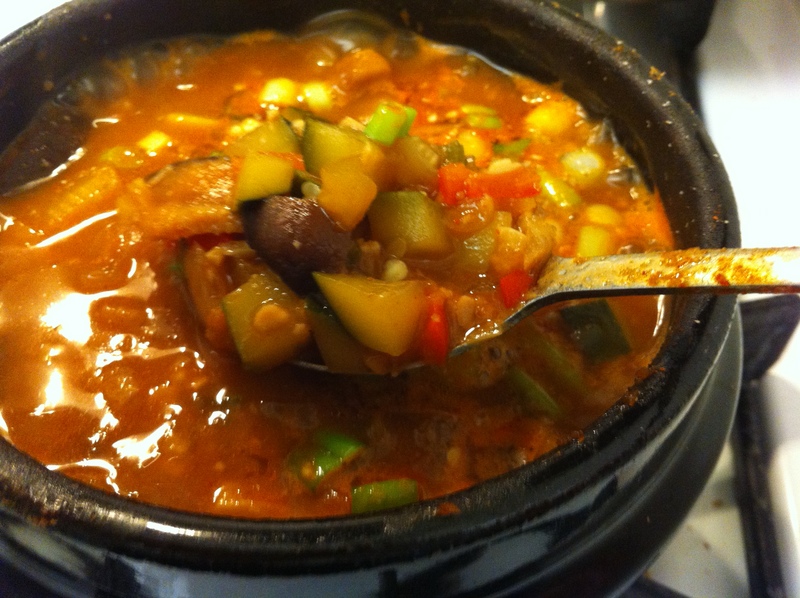 Gangdeunjang-jjigae literally means strong or thick soybean stew. I think the more accurate description is that gangduenjang-jjigae is in-between a ssamjang (쌈장, soybean dipping sauce) and a regular duenjang-jjigae (된장찌개, soybean paste stew). 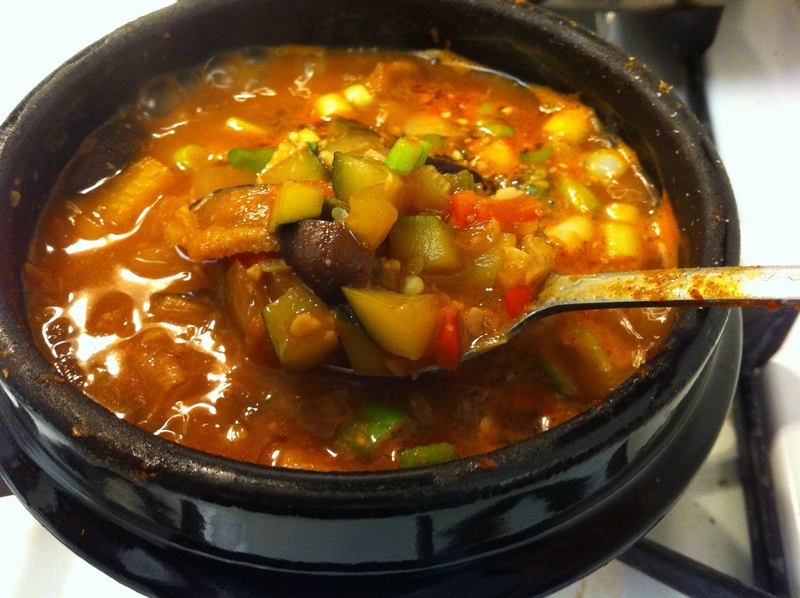 Today, I made a vegan gangduenjang-jjigae with bausut dashima broth (버섯 다시마국물) and various vegetables. 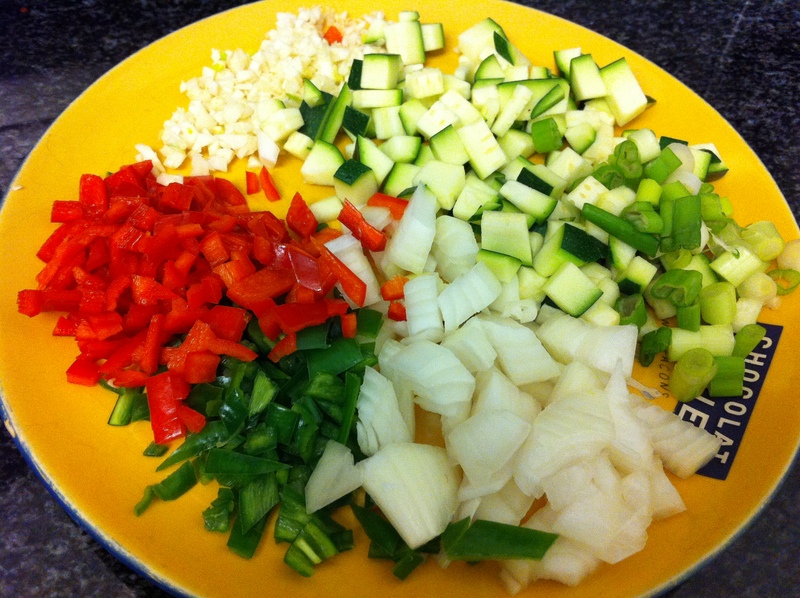 You can use any kinds of vegetables you like and vary the spiciness by adding less or more chili peppers. You can also use myulchi broth instead and add diced tofu, a canned tuna or minced beef if you want to add more protein. 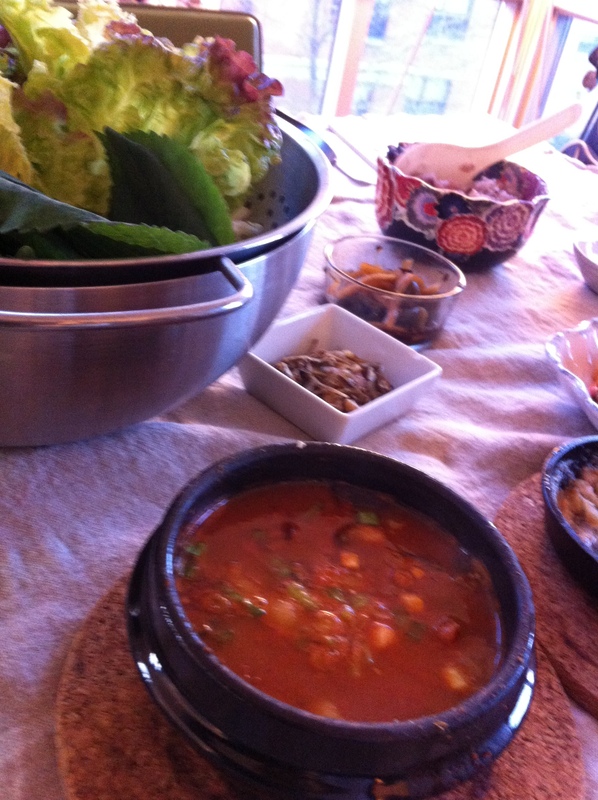 I served this yachae gangduenjang-jjigae with red leaf lettuce and kketyip (깻잎, perilla leaves) along with samgyupsal-guyi (삼겹살구이, grilled pork belly). 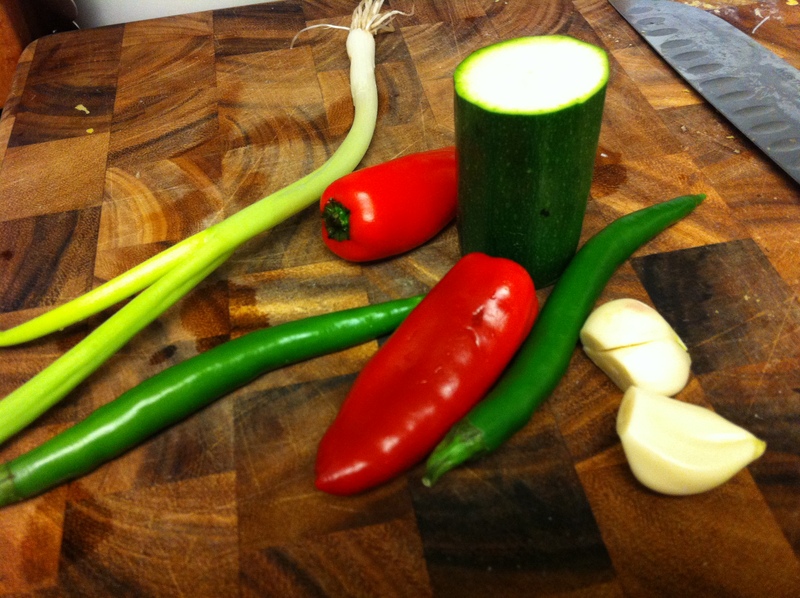 In the meantime finely dice all the vegetables. 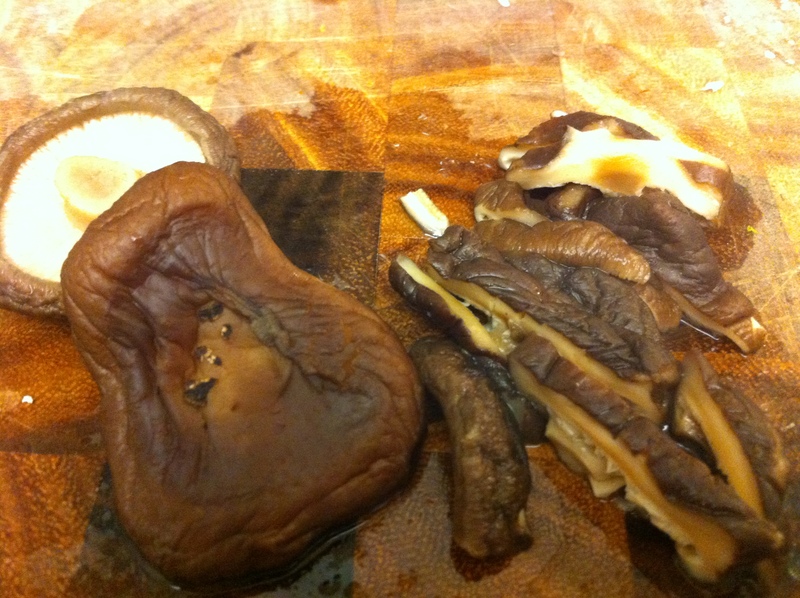 I used the shitake mushrooms from the busut dashima broth. 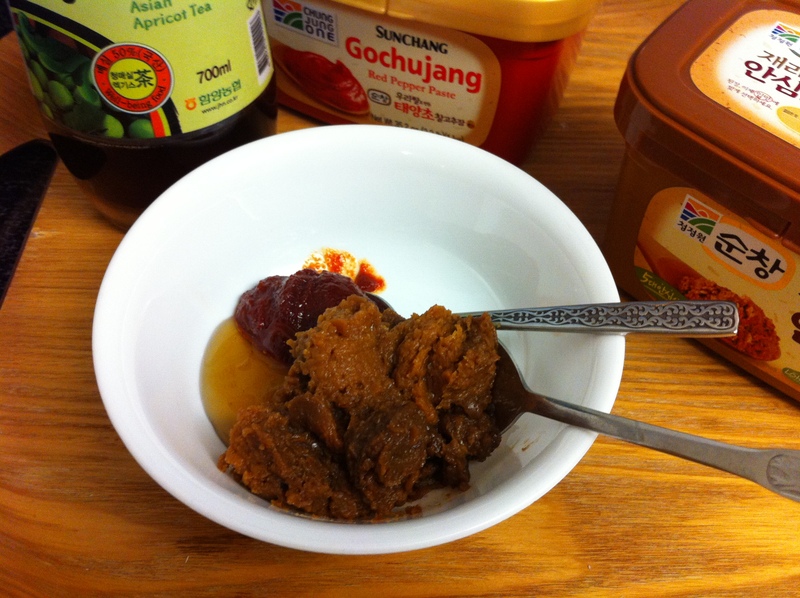 Mix the duenjang (된장, Korean soybean paste), gochujang (고추장, Korean red pepper paste) and honey. 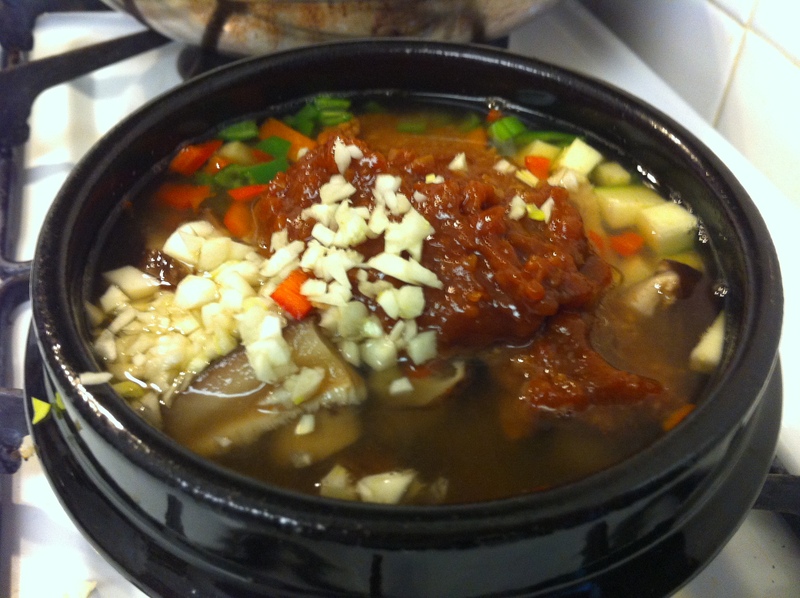 In a small pot or ttuckbaegi (뚝배기, Korean earthenware pot), add all the vegetables except for the scallions, 1 cup of broth and top it with the duenjang mixture. Let it come to a boil and lower it to a simmer. 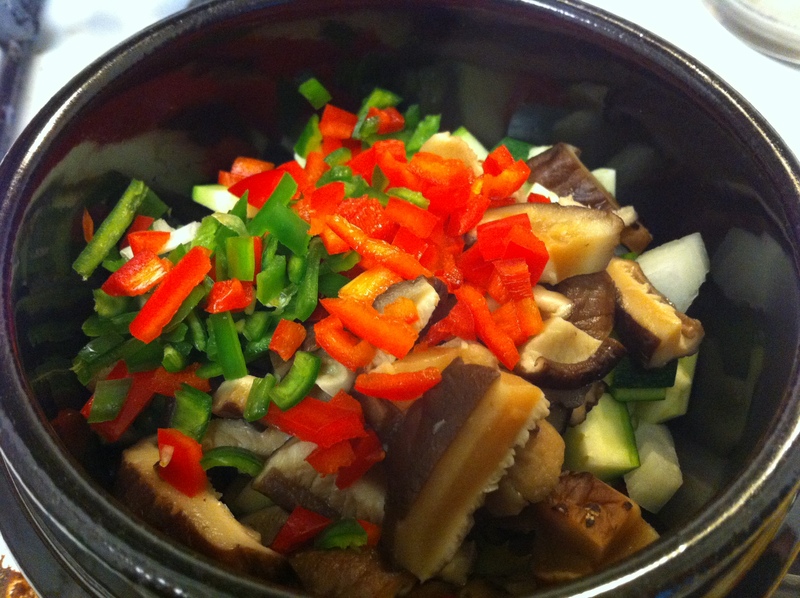 Cook for about 15-20 minutes until the vegetables are fully cooked. Add the scallions, drizzle about 1/2 tablespoon of sesame oil and garnish with toasted sesame seeds. 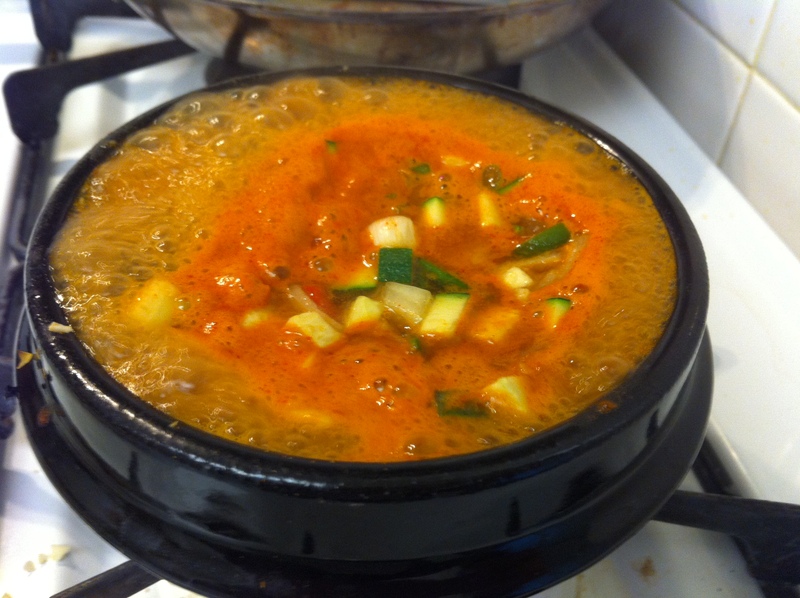 Serve with rice and ssam (쌈), which are cooked or raw vegetable leaves. You can used fresh red leaf lettuce, kketyip (깻잎, perilla leaves) or cooked steamed cabbage leaves. 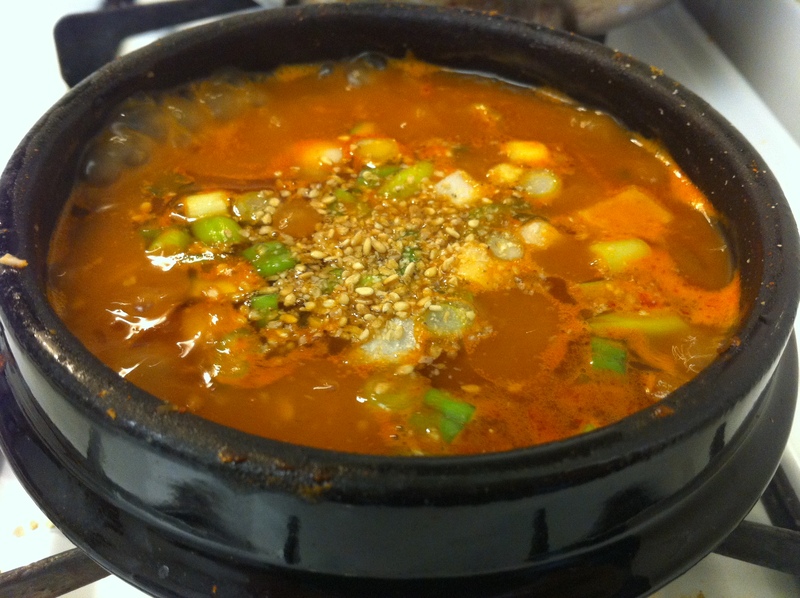 This entry was posted in Good for dinner, Good for lunch, Soup/Stew (국/탕/찌게), Vegan/Vegetarian Options and tagged Duenjang, Jjigae, Korean BBQ, ssam, vagan, vegetarian by gangnamkitchen. Bookmark the permalink. I made this last night using myulchi broth and it came out so good! Thanks for the recipe Vanessa! So happy to hear that, Michelle!